The playwright Oscar Wilde defined a gentleman as someone who “is never unintentionally rude.” Likewise, you never want to have a good client relationship end unintentionally and without a sound reason. 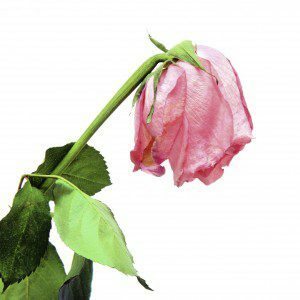 Unfortunately, relationships often avoidably come to an end. Clients usually just vote with their feet and don’t carefully explain to you why they are not giving you any more business. This can lead to an after-the-fact rationalization that the relationship ended due to factors entirely outside your control. Here are eight reasons why you may lose a client, and steps you can take to correct each situation. This month, in Part I, I’ll cover the first four. Next month, I’ll describe the remaining four. Build many-to-many relationships with all your key clients. If the relationship depends on one single executive, you are doubly exposed—the client could leave, and your own relationship manager could leave! Make sure you are connected to a senior executive above your day-to-day client. That relationship will be worth its weight in gold when turmoil hits. Ensure you’re getting credit for your work and the value you’ve added is appreciated broadly in the client organization. Work hard to get the departing executive to vouch for you and introduce you to their replacement (of course, if you’ve built a good relationship with them to begin with, this shouldn’t be a problem!). Sometimes, clients only have a periodic need for what you do. A college may hire a fundraising consultant only once every five or ten years, when they do a capital campaign. A corporation might only need the services of a construction company when they build a new headquarters building. An executive search firm can do talent planning, executive assessments, and leadership coaching in-between periodic searches. Second, you need to add value in-between major engagements. The client needs to perceive you as a trusted advisor in good times and lean times—when you’re collecting fees and when there’s a dry spell. Are you calling on all your past clients each year, and adding value by sending them insightful pieces of thought leadership that addresses their most challenging issues? Third, if your clients only rarely use what you offer, make sure you get referrals and testimonials from every single person you do business with. Your marketing strategy must be to spread a wide net, and those references will help you enormously. A friend of mine provided coaching services to one of the Big Four accounting firms. This client grew and grew, and eventually accounted for 75% of his revenue. In 2008, when the financial crisis hit, the client did not renew his contract. “We don’t have the budget for your coaching services anymore,” they told him. A familiar tale? It is a lie, however, that clients don’t have the money to pay you. What they have decided is that using you is not a priority given their (invariably) limited financial resources. The client who just told you they can’t afford to keep going with you is paying for all kinds of things at this very moment—some of which may be either a complete waste or have a low ROI. They may be spending money on unproductive initiatives, poor-performing executives, excess office space, ineffective advertising, too many photocopiers, and so on. They may also be spending more on your competition. How often have you heard there is a “freeze” on all management consultants, for example, only to discover that someone is still doing millions of dollars of work for the client? Note: That firm usually has very strong relationships with key senior executives—relationships which sustain them through the lean times. Relentlessly communicating the value and impact of your work. Spending sufficient face-time with executives so that you have a good understanding of what is most important to them. Another client of mine was told that, due to spending cutbacks, every supplier in their market was being cut by 20%. He analyzed the client’s total spend, and came up with a plan that would save them 30%–if the client consolidated all of their business with his firm. He won the deal, and dramatically grew his business with this client, even though the pie was shrinking! Your work is acceptable but not perceived as “a cut above.” You’re not wowing the client in any way. The client perceives your products or services as solving a relatively insignificant problem. Can you do a better job of quantifying the benefits of your work? Can you get some of the managers who know you and like you to vouch for you with senior management? Can you make yourself useful in more meaningful ways to the client, either by evolving your service offering or raising your client service levels to “knock their socks off” levels? Can you tie what you do–even if it impacts a small part of the client’s business–to something larger and more important? For example: one of my clients is in the executive relocation business. Traditionally, it’s a relatively small expenditure for corporations, and the job is given to a junior manager who is expected to get it done as cheaply as possible. My client redefined themselves as being in the business of enabling the mobile workforce, not just “relocation.” They started showing clients how what they do can be an important enabler of talent development across their clients’ organizations. This has created a unique differentiation within their industry and raised their relevance with clients.